Brenda Snipes, the embattled Broward County election supervisor who oversaw the recount of the Florida Senate and gubernatorial races this year, announced Saturday she was reversing her decision to resign. On Nov. 19, Snipes announced that she would be retiring and resigning her position effective Jan. 4, 2019—and Gov. Rick Scott (R.) has already named her successor. Snipes had previously said she was ready to "pass the torch" but now claims she must "fight." Scott, who won election to the Senate and is passing the duties of governor onto Governor-elect Ron DeSantis (R.), responded to her looming resignation by suspending her without pay and naming her replacement, Scott's former general counsel Peter Antonacci. "After a series of inexcusable actions, it's clear that there needs to be an immediate change in Broward County and taxpayers should no longer be burdened by paying a salary for a supervisor of elections who has already announced resignation," Scott said when suspending Snipes. In light of that suspension, Snipes has reneged on her resignation and says she will stay in the position until November 2020. "We believe these actions are malicious, we believe that the allegations that are set forth in the governor’s executive order are done for the purposes of embarrassing Dr. Snipes — embarrassing her and tarnishing her record — and we will be fighting this," her attorney said in a statement. Incoming Gov. DeSantis has also signaled his intention to have Snipes removed from her position. 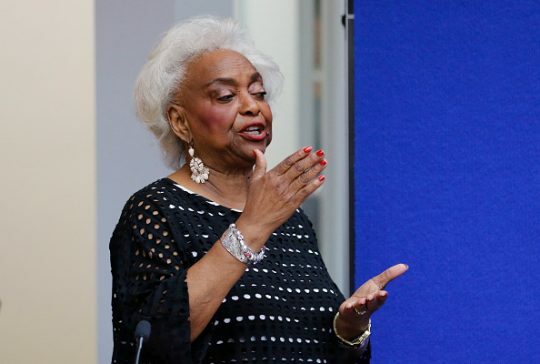 Snipes was initially appointed election supervisor of Broward County in 2003 by then-Gov. Jeb Bush. She earned a $178,865 salary annually and is slated to receive a $71,000 pension. However, Scott's suspension puts the question of a pension on the line. This entry was posted in Politics and tagged Florida, Rick Scott. Bookmark the permalink. Aryssa Damron is a 2018 fall intern at the Washington Free Beacon. She is a graduate student at the University of Kentucky and holds a B.A. in English from Yale University. Prior to working at the Free Beacon, she interned with Simon & Schuster, Regnery Publishing, Conservative Book Club, and the Clare Boothe Luce Policy Institute.